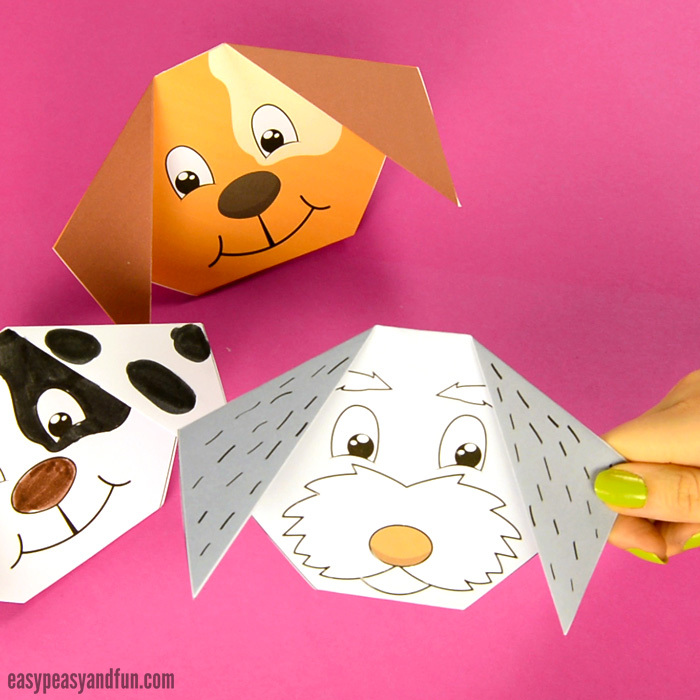 Want to learn how to make an origami dog face? 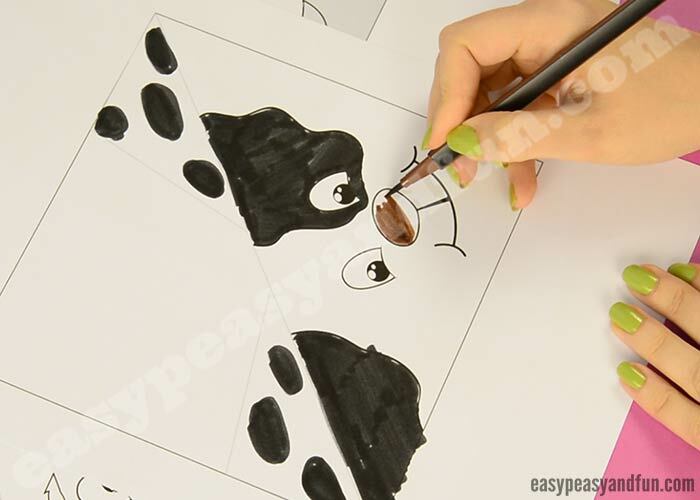 Not only do we have a super simple step by steps instructions (both pictures and video), we also have a printable origami paper template for you or your kids to print and fold (pre colored and to color in!). 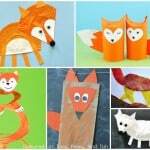 We love simple origami that both kids and adults can make. And we love sharing wonderful printable templates that make it even more fun! 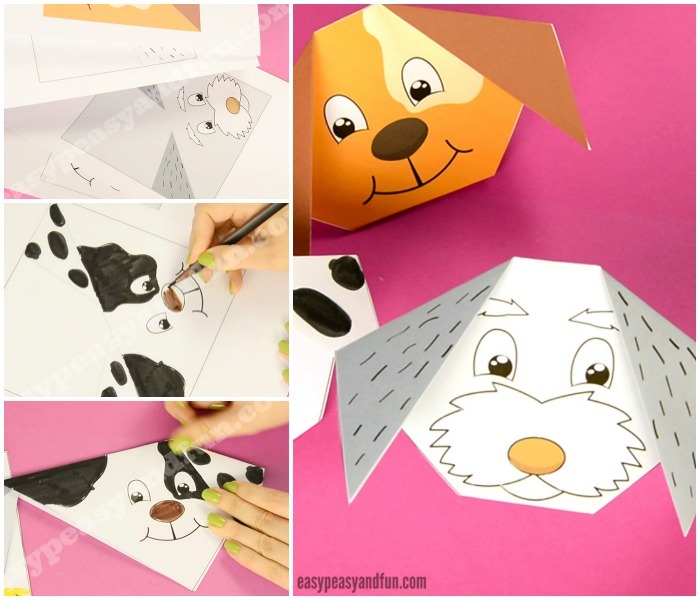 With our printable origami dog face templates you will be able to create a nice variety of dogs, as there are 2 pre-colored templates (brown and gray dog) and two to color in hovewer you see fit (we made a dalmatian with one and a out of this world pink/green/yellow dog from the other!). 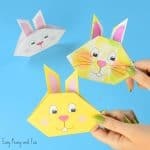 This is a super easy origami project, perfect for kids as little as preschoolers and kindergarten to make on their own (little folding is required and end project gives confidence). 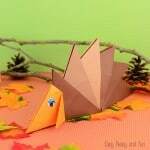 Ready to start folding? We sure are! 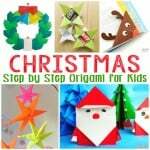 You can grab our templates at the end of this step by step folding tutorial. 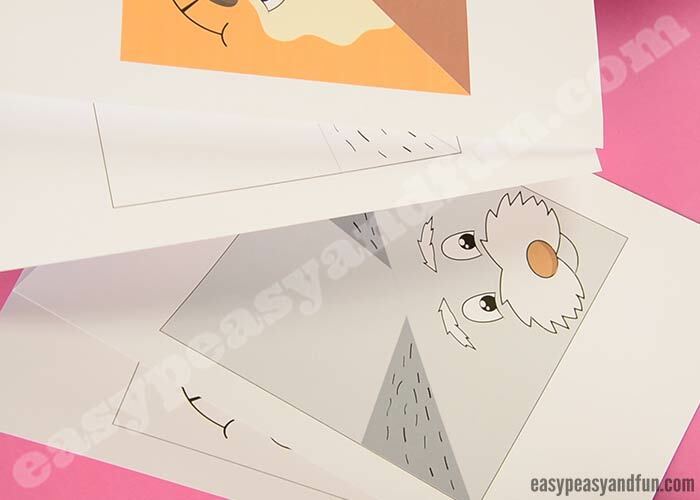 Print out our fun templates (you can grab them at the very end of this tutorial).. If you decided to print our black and white version, now is the time to color it in. We used markers, but there are other fun coloring supplies you can color yours with (for example we loved using the ink pads when we were coloring our origami bunnies). 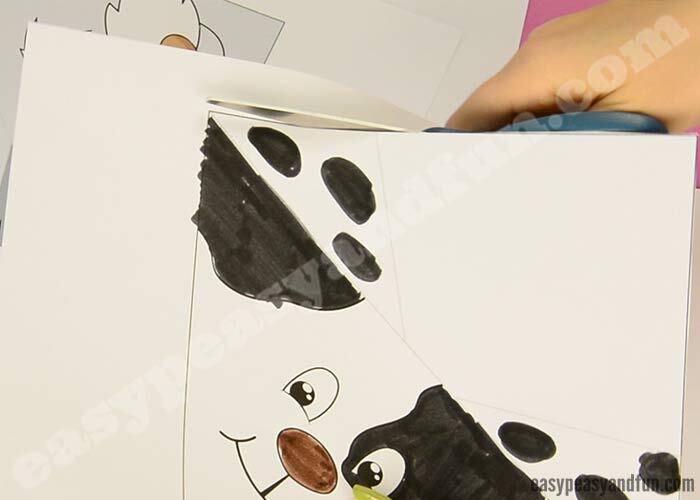 Once colored in, or if you printed our pre-colored version, cut the square origami paper out. 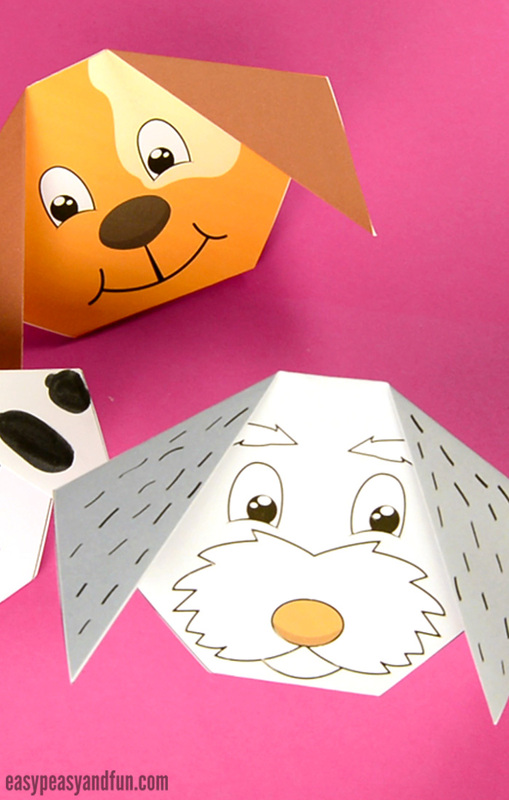 Fold the origami paper in half, diagonally, with the dog face on one side and ears on the other. Crease the folds to make them nice and crisp (you can help yourself with a craft stick, we run it across the fold to make it crisper). Now flip on the other side and you’ll see a line for the ears. Fold along that line, flipping the ear on the front. Do the same with both ears. 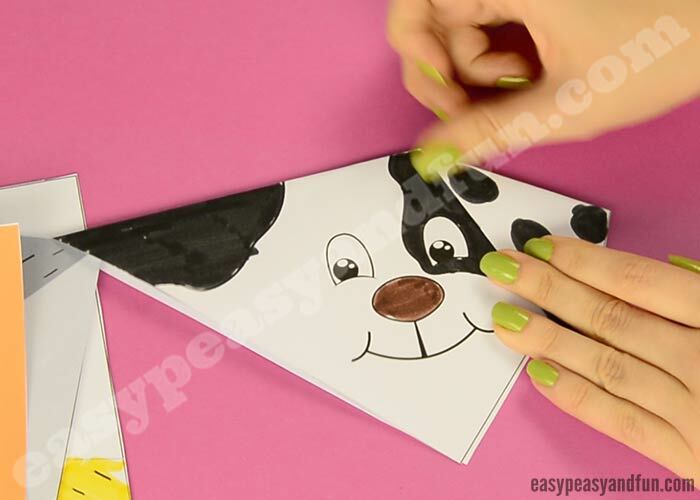 All that’s left to do, is to make a fold just under the dog’s mouth – no rules as to where this fold needs to be, you can make it a bit higher or lower – this will give your origami dog face a unique shape. 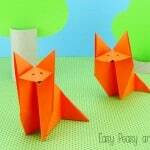 You can even make this origami dog stand on it’s own with the help of the last fold you did! Wonderful isn’t it? We love it and hope you will be making many of them. 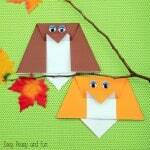 We hope you will have fun crafting this one and that you will snap a photo and share it with us.